I think the moment has come for Revista ARTA to dedicate a consistent thematic file to one of the most dynamic arts in the present-day Romanian visual world. Ceramics has been for some time now in an alert process of demarginalization, of leaving behind its traditional retirement and discretion to get in the middle of today’s formal battles. There is nowadays a more and more offensive and wide-spread consciousness that the decorative can represent, in all its forms of expression, a major artistic exercise, a visual research as complex, elaborate and open towards superior senses as any other modality of practicing the artistic impulse. From the traditional pole to the avangardist one, new practical procedures have explosively dynamized this ancient art of fire: digital technologies, mixed-media, multimedia, 3D printing, but also “author’s techniques” invented by the artists themselves for new materials and chemical processes. All this confers to the domain of ceramics an active experimental dimension, extremely diversified and personalized. The freedom to try everything, interdisciplinarity, the transfer between artistic techniques and visual currents be they modern or postmodern, have explosively marked this art of the clay, sandstone, and porcelain. In its field one can notice nowadays the existence of such tendencies as conceptual or historicist ceramics, installation and sculptural ceramics, experimentalist and cultural quotation ceramics etc, combined in the most diverse and inventive manners. The present-day impetuosity of ceramics is proved as well by the fact that it is practiced – as an art of interior or as an art of public spaces, with assumed social dimensions – by more and more artists coming from unexpected domains of action. The current emancipation of ceramics at an international level – evident in the number of biennials and big exhibitions, in specialized art magazines and art fairs, but also in the global professional community sustained by blogs and social networks on internet – this emancipation is equally obvious at our local level. 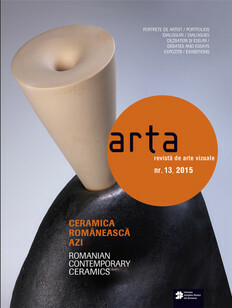 The special file of this issue of Revista ARTA wants to demonstrate that Romanian ceramists have now a more intense consciousness of their possibilities of a major creation and cultural recognition and that Romanian ceramics can and wants to play a more visible role in our society. Ceramics Now is an independent art platform and magazine specialized in contemporary ceramics. Based in Cluj, with contributors from around the world, we are a small non-profit organization established to promote, advance and document contemporary ceramic art. Founded by Vasi Hirdo in 2010, the online art platform offers a curated selection of art projects and publishes articles and in-depth interviews with world-renowned and emerging ceramic artists. 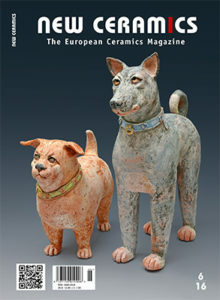 The most important European publication at this moment covering the contemporary ceramics, with six issues annually, bilingual and with a vast international distribution. It comes both in print form and online version. 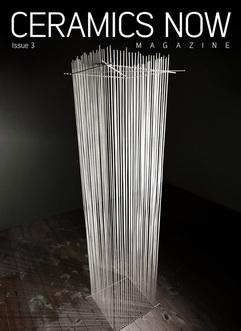 The events and exhibitions organized by Galateea Contemporary Art gallery have been constantly listed in this prestigious magazine. Neue Keramik 's Newsletter is full of interesting information and subscription is free. Doua publicatii importante cu articole de inalta tinuta si o prezentare grafica de exceptie. Ceramics Art and Perception are patru aparitii anuale si a fost initiata si sustinuta incepand cu 1990, de o personalitate remarcabila a ceramicii australiene si internationale - Janet Mansfield (1934–2013) in Sydney, Australia. Janet Mansfield a fost presedinte al Academiei Internationale de Ceramica, cu sediul la Geneva, Elvetia. Ceramics Technical este un supliment extrem de util, cu doua aparitii anuale. 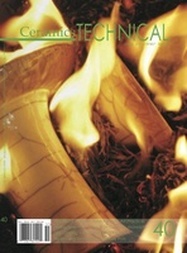 Ceramic Review is the international magazine for ceramic art and craft. Combining both practical and theoretical features, while presenting the latest news and views on ceramics globally, it is an invaluable resource for ceramic artists, potters, collectors, curators, students, and anyone with a passion for and interest in ceramics. Published bi-monthly, the magazine arose out of the newsletter of the Craft Potters Association. 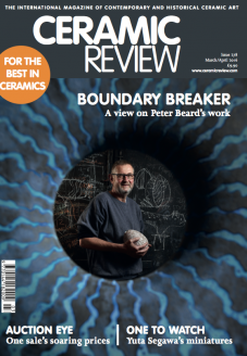 Ceramic Review’s first editors, Emmanuel Cooper and Eileen Lewenstein, strove to promote and further develop the outward-looking qualities of the CPA and to respond to the ever-widening interest in studio pottery. 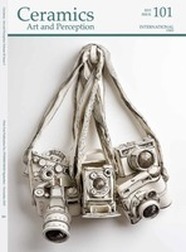 La Ceramica in Italia e nel Mondo is a magazine specialized in ceramic art and culture. A contemporary art magazine, innovative, cosmopolitan, rich in content, vibrant and dynamic with an eye to ceramic traditions, new trends and artistic expressions of the italian and world scene in the ceramic world. It is now bilingual Italian-English and subscription to their newsletter is free. The art in both the exhibition and this accompanying catalogue is grouped together in the aesthetic and philosophical associations that have been briefly touched on in this essay. The contemporary ceramics in the collection of the Metropolitan Museum show the extraordinary breadth of styles postwar artists have been able to create. 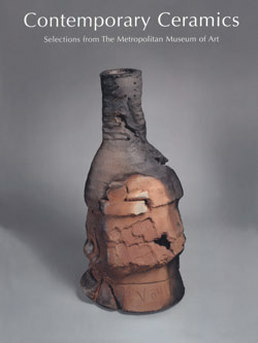 The aggressive experimentation of Voulkos, Mason, Price, and the other early pottery-making "rule breakers" of the era gave rise to one of the most creative periods in the history of ceramics, as the exhibition and this catalogue seek to demonstrate.